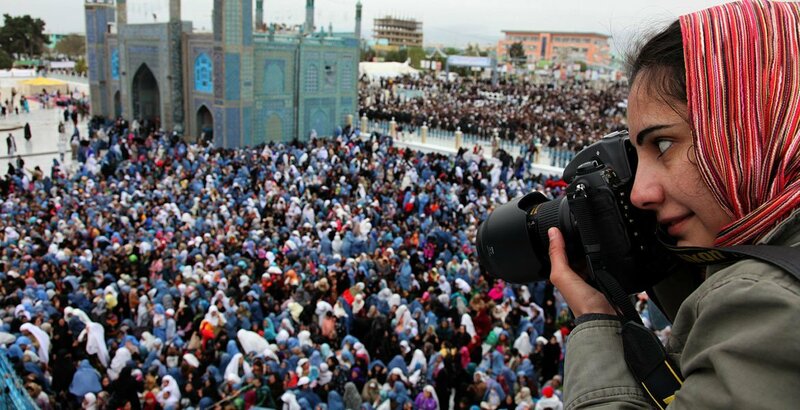 Photographer Farzana Wahidy covering a women's empowerment event in Mazar-i-Sharif, in Afghanistan's north. With journalism under increasing attack worldwide, top United Nations officials on Thursday joined a growing chorus of calls for the better protection of media workers. “Laws that protect independent journalism, freedom of expression and the right to information need to be adopted, implemented and enforced. Crimes against journalists must be prosecuted,” he stressed, calling on governments to strengthen press freedom, and to protect journalists in the vital work they do. “Promoting a free press is standing up for our right to truth,” he added. Only 10 per cent of the 930 cases of killings of journalists between 2006-2016 have been officially resolved, according to the most recent World Trends in Freedom of Expression and Media Development Report, published by the UN Educational, Scientific and Cultural Organization (UNESCO) and its partners. During last year, 79 journalists were assassinated worldwide while going about their work. Earlier this week, nine journalists were among those killed in a terrorist attack in Afghanistan. Following an initial terrorist blast in the capital Kabul, that killed many civilians, a second explosion targeted media workers arriving on the scene to cover the attack. 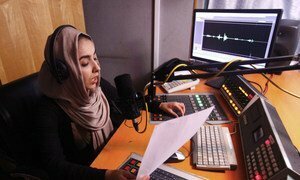 In a separate incident on the same day, another Afghan journalist was killed. This brings the total number of journalists murdered so far this year to 32 – with nearly eight months remaining. Around the world, World Press Freedom Day, established by the UN General Assembly in 1993, is being observed to champion free and accurate reporting. “We cannot become complacent to these kinds of attacks. They cannot become the new normal,” Assembly President Miroslav Lajčák told an event held at UN Headquarters in New York. This year’s theme for the Day is “Keeping Power in Check: Media, Justice and The Rule of Law.” It highlights the importance of having laws that safeguard press freedom, and gives special attention to the role of an independent judiciary to guarantee press freedom and prosecute crimes against journalists. UNESCO has partnered with 40 news organizations to launch a campaign that encourages readers to look beyond their usual outlets, and actively engage with alternative news sources. The campaign slogan - ‘Read more. Listen more. Understand more. It all starts with a free press” - featured strongly during the official global celebration of the Day, in the Ghanaian capital, Accra. In Afghanistan, Tadamichi Yamamoto, the UN Secretary-General’s Special Representative, has this message to mark the day. In Somalia, UN Special Representative Michael Keating, commended the courage and dedication of the country’s journalists who operate in one of the world’s most dangerous environments for media workers.